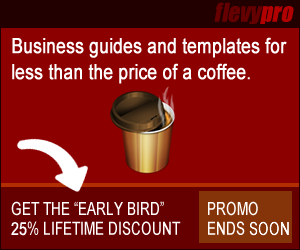 Flevy.com Introduces 30+ Business Toolkits – Product Launch, Focus Interviews, Lean Management, etc. View all 30+ toolkits here: Business Toolkits. For a more comprehensive selection of business topics, take a look here: Recommended Documents by Business Topic. Flevy is offering a free product download of a Strategy Development Discussion Deck. This document is a discussion deck template for a corporate strategy development session. In this discussion, we go through a 2-prong approach to growth and evaluate the merits of various growth drivers. This presentation follows the standard management consulting Headline-Body-Bumper format. By the way, this exact document is available for purchase on Flevy for $30. It is definitely worth the free download! 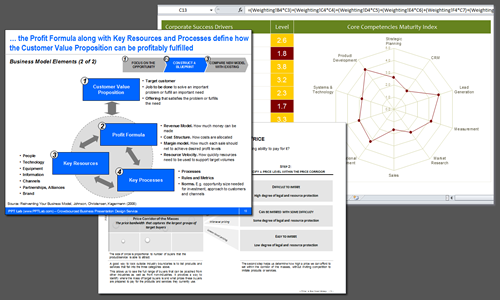 Just added to Flevy, this presentation is a collection of PowerPoint diagrams and templates used to convey 30 different strategy, marketing and business management models and frameworks every manager and consultant needs to know. You can view Flevy’s full collection of PowerPoint diagrams and templates here: https://flevy.com/function/powerpoint-templates-ppt. Flevy is now the largest and fast growing provider of high quality business documents. On their blog, they have just published a comprehensive list of recommendations by business topic (e.g. Presentation Design, Strategic Planning, Marketing, etc.). The original identified list of topics and documents are re-published below.